The intense reckoning America is experiencing around sexual harassment didn’t come out of nowhere. 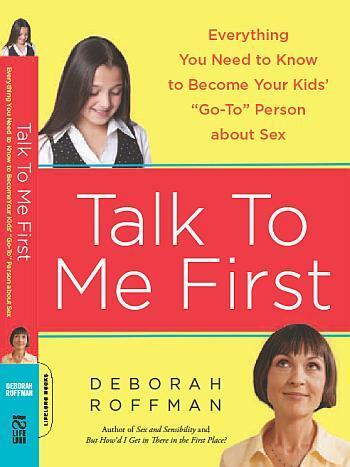 We talk with Deborah Roffman, author and human sexuality educator at the Park School of Baltimore, about eye-opening events in the past five years that changed attitudes about taking what you want versus getting permission. Roffman teaches boys and girls as young as 9--fourth graders--and says forming personal boundaries starts with building self-respect. As the Trump Administration bears down on immigration enforcement, what is the recourse of immigrants facing deportation, who are often without funds to enlist a lawyer’s help, or even the basic understanding of what that would mean? We hear from Annie Chen a program director from the Vera Institute of Justice about the SAFE Cities Network initiative. It’s a nationwide effort to bolster access to legal representation for immigrants and also provide education regarding legal rights. Also joining us is Tracy Brown, deputy director of Open Society Institute Baltimore that works with the local immigrant community. We also meet Val Twanmoh, director of the Catholic Charities Esperanza Center, which will receive some of the SAFE Cities funding, and Heather Benno, managing attorney of immigration legal services at Esperanza Center. Maryland and many other states are facing teacher shortages, and yet the teaching profession loses 1 out of 5 teachers by their fifth year in the classroom. Educational researcher Linda Darling Hammond of the Learning Policy Institute says a range of factors, like planning time and access to materials, shape teachers’ decisions. Check out the LPI map of "Understanding Teacher Shortages," and the report, "A Coming Crisis? Teacher Supply, Demand, and Shortages in the U.S". And we hear from two Baltimore principals - Principal Patricia Burrell of North Bend Elementary/Middle School and Principal Marc Martin of Commodore John Rodgers Elementary/Middle School - about how they are supporting their teachers and fostering collaboration at their schools.